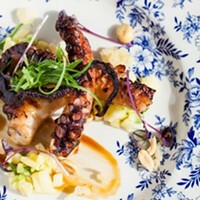 Six delicious meals to treat your mom to this weekend. 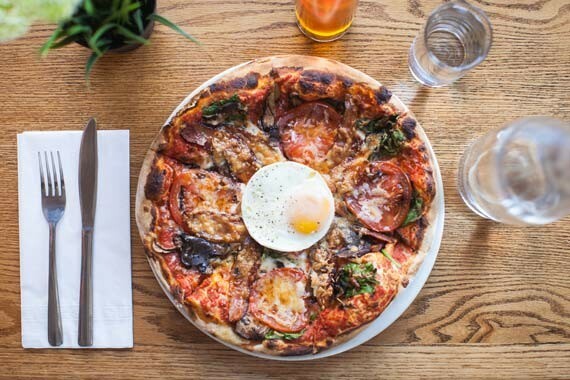 The allure of a couple of sunny-side up eggs makes it easy to put the emphasis on the br in brunch, but if you want to focus on the unch, nothing does a better job than pizza. 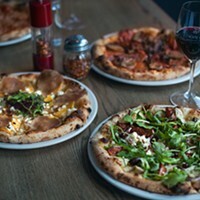 So why not do it all: Topped with an egg, Morris East's brunch pizzas are the definition of brunch. 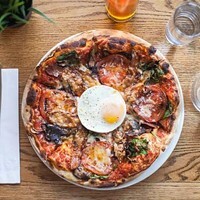 If for some reason you aren't wowed by the Big Breakfast pizza or special brunchy pies with toppings like steak frites and eggs and greens, submit to the restaurant's other wood-fired charms. 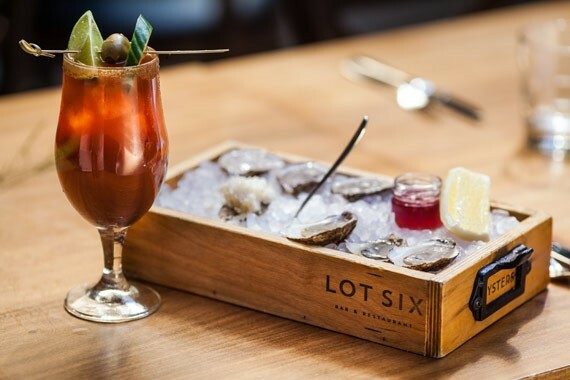 If you want to eat light and drink heavy for your weekend brunch or simply embrace your Canadian heritage as much as possible before the noon gun fires, go for the Lot Six brunch special: a Jameson's Caesar served up with a half dozen plump, briny oysters. 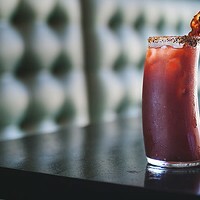 Nothing says brunch like a Caesar. The oysters are just a bonus. 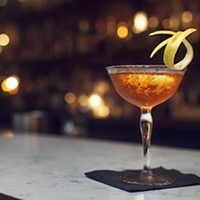 And if you like spice, you can ramp up the heat in your cocktail with some of the wispy curls of horseradish served on the half-shell. 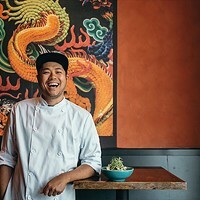 Robie Street's chef Heman Lee wants his menu to push people to explore something different—that's how the cilbir landed on it. 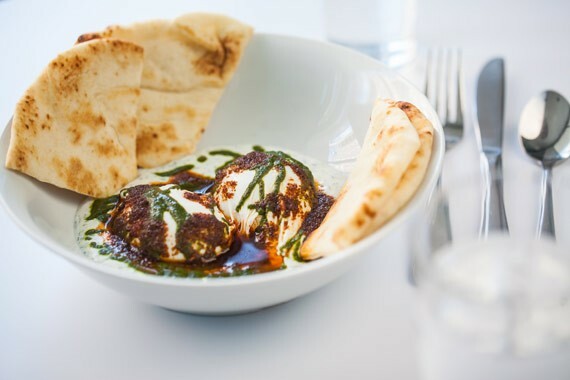 "It was about finding an alternative to eggs Benedict—everybody's doing it and I wanted to set myself apart," he says the Turkish breakfast dish that nestles two perfectly poached eggs into a bed of fresh garlic and dill yogurt and tucks them under a blanket of aleppo butter and chimichurri. It's addictive and unlike anything else. 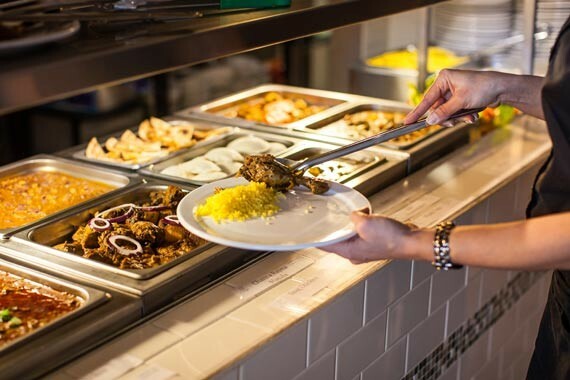 Sunday afternoons are a time for stretchy pants and big appetites at Dhaba. 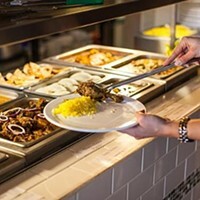 The Junus family restaurant tempts every single tastebud with its traditional north and south Indian brunch buffet that'll make you forget eggs and bacon ever existed, serving up unlimited amounts of roti, biryani, curry, dahi vada, dessert and options for meat-eaters and vegetarians. Leaving hungry is a naan issue here. 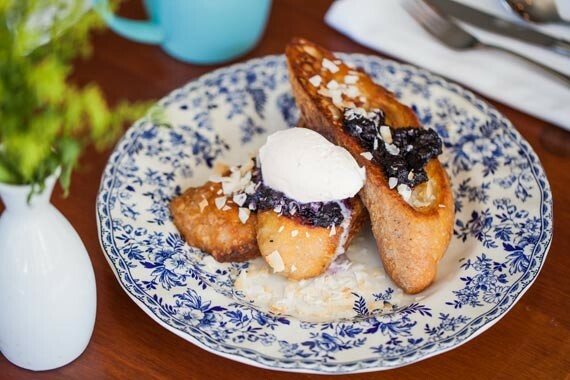 There are very obvious reasons why there's a line of people winding around the entry at EDNA every weekend when brunch rolls around, with the most obvious perhaps being their French toast. Thick cuts of crusty sourdough are soaked in a delicately sweet banana and coconut milk batter, topped with a slightly tart blueberry compote and a dollop of silky coconut cream. 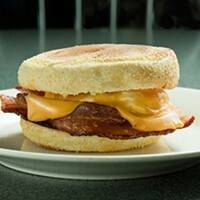 It's the Chelsea Peretti of brunch foods: Truly one of the greats. And it's vegan! 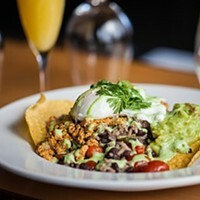 A relatively new downtown destination, the Black Sheep was built on a foundation of feeding people interesting brunch options. 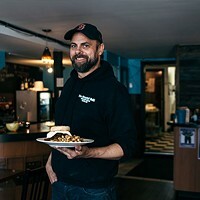 "The north end has EDNA, Coastal, Mary's—downtown doesn't have a lot of that," says co-owner John House. 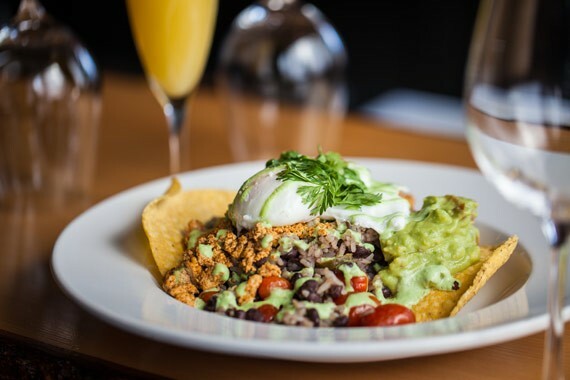 This tasty tostada serves up simply irresistible Mexican flavour in its refried beans, pickled jalapeños, guacamole and green onion crema, and keeps the vegetarians happy with a tofu chorizo. The chef/co-owner at El Chino and Robie Street Station has super-human work ethic, restaurant chops in this veins and big plans for what’s next. Brunch is a state of mind, not a meal. Here are some stellar midday feasts that may or may not include eggs. 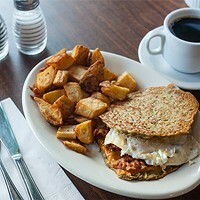 How The Coastal Cafe has perfected the morning meal.